The GO-DEVIL® Surface Drive FNR features the toughest frame in the industry, consisting of the perfect mix of steel components that will dominate all environments. Inside the frame lies the upgraded 1” drive train. The drive train was engineered, hand built, and rigorously tested by our resident mechanical engineers and skilled shop hands for over three years. 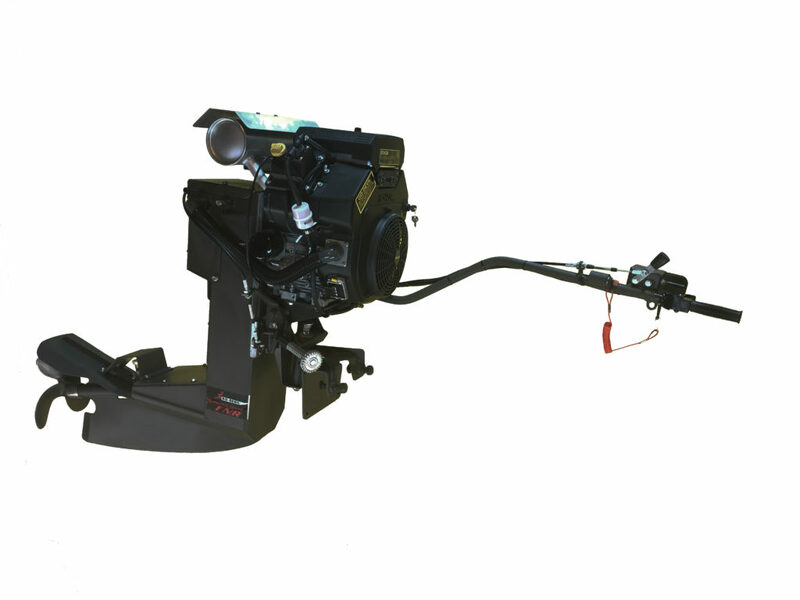 At the heart of the drive train, high performance sprockets connected through precision belts and a Warner Electric Clutch mechanically reduce the engine’s revolutions, thereby generating more torque to turn a larger mudslinging propeller. Because of the overwhelming success with the components used in the drive train of the modern GO-DEVIL® Long Tail Engines, and the GO-DEVIL® Surface Drive the Surface Drive FNR model was crafted with many of the same features in the shaft housing including the upper bearing assembly, the pressure lubricator, and the ever-dependable seal housing and lower bronze bushing with a spiral groove for positive pressure lubrication. Additionally, the GO-DEVIL® Surface Drive utilizes a constant velocity joint that eliminates undesirable engine angle. At the end of the drive train rests the latest in propeller design and innovation. This propeller is designed to cut and “sling” through the thickest mud and still perform in reverse. The GO-DEVIL® Surface Drive FNR is available in Vanguard and Kohler engines and carries a one-year drive train warranty.